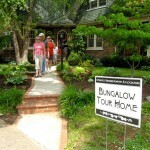 It is Bungalow Tour time again and we are looking for volunteers. The Tour will be Sunday, June 14th from 1 to 5 pm. 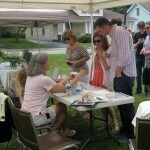 This is a great opportunity to get involved in a fun event and meet some great neighbors. Volunteers will receive free admission to the tour so we ask volunteers to sign up for a two hour shift to allow for plenty of time for them to go on the tour. House monitoring. These folks act as front door monitors confirming attendees have their ticket/programs or as monitors inside the home. Ticket sales. Tickets will be $7 and sales will be on the Victory Christian Church lawn. COOKIE BAKERS! 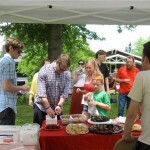 We offer free refreshments on the tour and home-baked cookies are needed (2-3 dozen per baker would be great!). These can be dropped off early or on the day of the tour. If you have any questions or if you would like to volunteer for any of these positions please email Sara at kenwickneighbors or call 859-221-8350. Posted in Uncategorized on May 11, 2015 by sara constantine.